A education system lets all who want to learn learn. According to Mencius, education must awaken the innate abilities of the human mind. He denounced memorization and advocated active interrogation of the text, saying, “One who believes all of a book would be better off without books” (尽信书，则不如无书, from 孟子.尽心下). One should check for internal consistency by comparing sections and debate the probability of factual accounts by comparing them with experience. Mencius emphasized the significance of the common citizens in the state. While Confucianism generally regards rulers highly, he argued that it is acceptable for the subjects to overthrow or even kill a ruler who ignores the people’s needs and rules harshly. This is because a ruler who does not rule justly is no longer a true ruler. If we are to think of education as a means to produce good citizenship, then we must also think about how education should benefit and value its citizens, not just for the sake of the interests of rulers, or ruling parties concerned, but all those learners, workers, citizens etc. So, how would this be translated in modern education and social media? (Positive form): One should treat others as one would like others to treat oneself. (Negative/prohibitive form, also called the Silver Rule): One should not treat others in ways that one would not like to be treated. It seems that some of these principles developed in the past could be translated in modern term and still be applicable in social media. 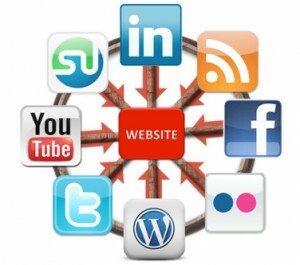 A great digital scholar would treat others as one would like others to treat oneself, in social media. That is empathy, social intelligence and love. This week’s topic with Change 11 MOOC is on digital scholarship, facilitated by Professor Martin Weller. The recorded session is available here and slideshow as shown below. Nando summarized with notes of the session here. This may be one of the differences between posting of critically peer-reviewed articles and the posting of articles on one’s blog, where the ideas may still be half-baked as shared by Jenny on her post and I have shared them here. Is there a need to segregate scholarship from digital scholarship? May be that is one of the main reasons why so many professional teachers are still thinking about what it means to be teaching online, due to the many risks involved, especially the ones relating to digital identity – personal and professional identity online. I have reflected on openness and personal identity here. Should we encourage and support our learners and/or fellow educators to use their real names instead of pseudonyms? What are the implications and consequences of exposing “ourselves” with real identity in public or open online or virtual networks? Dunbar’s video highlights the dangers with learning with social media and over the internet, where the identity could be obscured. Here Clay Shirky commented about privacy in social media, and the precautionary measure one should take. What does it mean to expose one’s personal identity in digital scholarship? In relation to digital scholarship, how would digital identity of scholars be shared? How would one strike a balance between private/personal and professional identity? 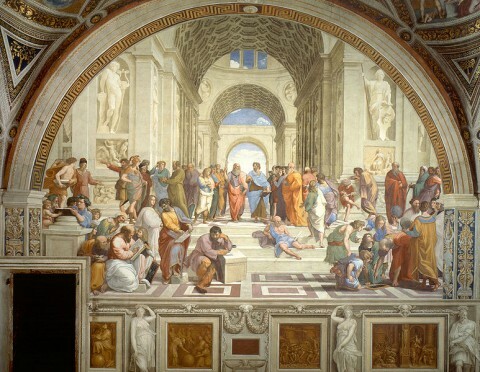 Are academics rewarded for engagement in public discourse? What could institutions do to support digital scholarship? How could institutions support Digital, open, networked scholarhsip? Institution such as Princeton University is now encouraging Go open access when it comes to publication of scholarship work. There are many other strategies that could support digital scholarship, including an increase in funding and support of research into digital and networked learning and scholarship. In conclusion, I think there are still many issues relating to digital scholarship, including the open access and publication, segregation, digital identity. There are currently institutions developing open access policy and opening up Open Educational Resources (OER) for scholars and educators to share. Will continue to explore about the concerns and implications of Digital Scholarship in another post. 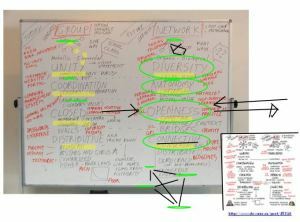 #Change11 Networks versus Groups – from a Digital Scholarship point of view? Networks versus Groups: which is better? I do see Stephen’s point, and would fully applaud on what Stephen has elaborated and yes, networks could be “far better” in networked learning, under those open, diverse, autonomous and interactive network ecology. As shared and well illustrated with examples, there has been many successful networks emerged from education, business and even government institutions based on the networking principles. The challenge that most educators are facing is: most businesses settings are structured around groups and teams, and an emphasis of team working in recruitment, training and development, and a focus on shared, common goals in each team that one is associated with. As an educator who is also working within a team, though one could also be interacting with networks, one is expected to support and achieve goals and vision set out in a “business setting” and to meet the customers’ needs and expectations in teams. An educator is also expected to role modelling in the team working with other colleagues, students, so that students (and learners) would continue to collaborate and cooperate with their employer at work. How would an educator set out a balance between the needs and expectations of employers, fellow colleagues and learners – in the use of networks and groups, and still achieve the goals and visions set forth? I think there is a triumph of network over groups, only that in the real world, we would still be under the constraints and “power” to get back to groups, and that groups is triumph over network, in case of institutions and organisations. Is it the ideal versus reality? I don’t know. Stephen, I think that is what we have also found in our previous researches, that some people really wish to push the boundaries towards networks, as there has been such a long lasting decade (or even century) of group learning. The giant (networks and network learning) has awaken, but that groups still rule. Thanks Stephen for your insights. Good arguments for networked learning cannot be based on the argumentation that all other learning propositions are wrong or bad. It’s non-exclusive. I have posted my views on Networked Learning based on networks here and how that could be differed from Group Learning, with ideas of Stephen included. There are many instances of successful networked learning (in institutions, business, and informal social and personal learning), and also instances of successful group learning, especially within institutions, business and formal networks and communities. There are however some critical value points which may distinguish the two, as Stephen has elaborated, and that are worthy of deeper investigation and evaluation. 2. Democracy (democratic rights, freedom of speech) and opportunities of participation & contribution exercised by individuals – which may be a result from openness, diversity and autonomy. In open networks – these values are encouraged and supported, when openness and diversity is celebrated. In groups – these values could be “constrained” or “dampened” if the voices are not unified, or in dissonance to the vision or mission of the community or institutions. 5. Power – This is the critical factor, as this would be the “power” to drive the particular type of network – “network”, “group – a special network with unity of purpose”, or a “collective”. This factor would also impact on 1-4. Would these factors be interacting with each other in the case of networks and groups? I think we could both theorize and validate the above factors in a network-group model, like what Stephen has done, and see how these work out in a network, such as this Change 11 MOOC. #Change11 Who would you like to be connected to? I would also like to validate these through further research. How about testing them through MOOCs – Change 11, or other MOOCs that you have been involved in? I reckon Behaviorism, Cognitivism, Constructivism, Social Constructivism, and Connectivism are also implicitly fused into the pedagogy and the model. 1. Who are the people that you would likely connect to, that would suit your learning style? 2. Which elements would fit into each Learning Theory? 3. What are the effectiveness of each of the pedagogy and strategies in different learning situation? 4. Is this model reflective of the reality? 5. How would you refine it? 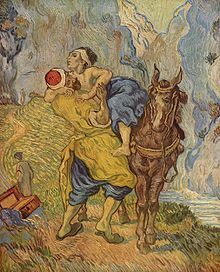 On Connections – where water as knowledge metaphor flows. If you understand something today, it must be already obsolete. We made history, & we are history. When we’re gone, technology is here to stay, changing. Change is endemic in the education sector. The pressures for change come from all sides: globalisation, government initiatives, doing more with less, improving the quality of student learning and the learning experience, and the pace of change is ever increasing. Living with change and managing change is an essential skill for all. People: How would people be impacted due to changes? Are people responding to changes nowadays somewhat different from that in the past decades? What might have been changed in the behavior and cognition amongst people, that may be reflective of the learning in networks and communities? Here Inge de Waard in her Explore a New Learning Frontier – MOOCs mentioned how people learns in a MOOC. How did people change throughout the MOOCs? Here is my reflection in a previous post. This is an interesting topic of research, and I would like to explore in Change11. What sort of literacies and skills are required to respond to changes at this era? In this participatory culture, new literacies all involve social skills, developed through collaboration and networking. The new skills include: play, performance, simulation, appropriation, multi-tasking, distributed cognition, collective intelligence, judgment, transmedia navigation, networking, and negotiation. See this and this on the debates on required media literacy, rather than mere content expertise. How to facilitate new media literacies? Dolors Reig writes that one of the most important tasks of educators is to extend and enlarge participation in new media and in these online communities. Students need to access the basic skills required to use technology, and to take advantage of online services to extend their participation into the wider community. New technologies allow them to reach into these networks independently of any institutional constraints. And they create the possibility of new forms of participation – of blogs and Twitter posts, for example – beyond the more traditional modes of conference presentations and academic papers. But if meaningful change is to be enabled, if the premise of participation is to be realized, then it will be necessary to extend practice beyond the traditional reach of institutions and community networks. 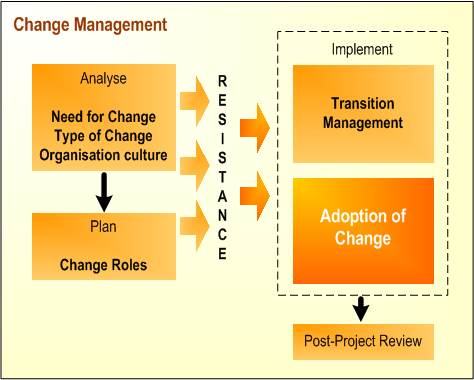 To manage change within institutions and among people, both educators and students do require analysis and planning as shown in the Change Management diagram above. (a) Technology and social media – Is technology the perfect solution to education? No? It seems that technology alone won’t provide improvements in the score of tests and examination. You need people – teachers and social support. (b) Pedagogy, teaching and facilitation – This involves a change in the sort of teaching and learning theories and strategies in managing change. 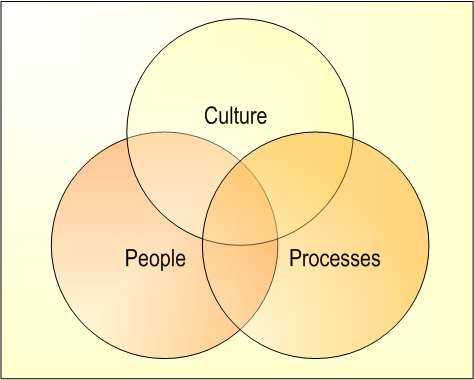 Culture involves both the explicit way of working – the formal systems and processes in place and how they operate, and the tacit level of operation – the informal and semi-formal networks and other activities that people employ to get things done and by-pass, subvert or seek or influence the more formal processes (Change Management). How would culture effect changes? What are some of the cultural changes in societies? The world views of rich societies differ markedly from those of poor societies. This does not imply cultural convergence, but it does predict the general direction of cultural changes. More than ever, the world is brought closer together through the internet, social media and web connections. However, as each community and network’s culture is unique, I suppose a multi-cultural global network has a diverse culture, where its local and global digital citizen would dwell as visitors and residents. I think changes among people are based on their cultural attitudes, technological beliefs and personal habits. This post by Stephen on refuting every points by Doug on Divergent Thinking, Constructivism and Dentistry well illustrates the need of changes, in respond to changing ecology, societal and professional or academic requirements, and a need to think and reflect what all those changes mean to individuals, communities and networks. How do you see changes? I see changes as part of my life. Sometimes the challenges that change in life could be both constructive and disruptive. On the positive side, changes in education would sharpen my focus on the purpose, content and process (which is indeed fundamental in education). On the negative side, changes in education may lead to feelings of apprehension, discomfort, and a loss of control. These have been reflected in various writers about how education and social media has changed their lives and interests. I am particular impressed with those change of interests shared by Stephen Downes. In this Transformative Learning in Adulthood by Susan Imel, transformative learning occurs when individuals change their frames of reference by critically reflecting on their assumptions and beliefs and consciously making and implementing plans that bring new ways of defining their world (MEZIROW 1997). A view of tranformative learning as an “intuitive, creative and emotional process” is beginning to emerge (Gralov 1997, p90). Both the rational and the affective play a role in transformative learning, especially in networked learning. Teachers also need to consider who they can help students connect the rational and the affective by using feelings and emotions both in critical reflection and as a means of reflection (Taylor 1998). This form of reflection is now used in blogging and network conversations. The power of creativity – through games.